The hotel security guard injured by the Las Vegas gunman has broken his silence about the October 1 shooting that killed 58 people. He previously sparked national interest by disappearing from public view ahead of several scheduled TV interviews. 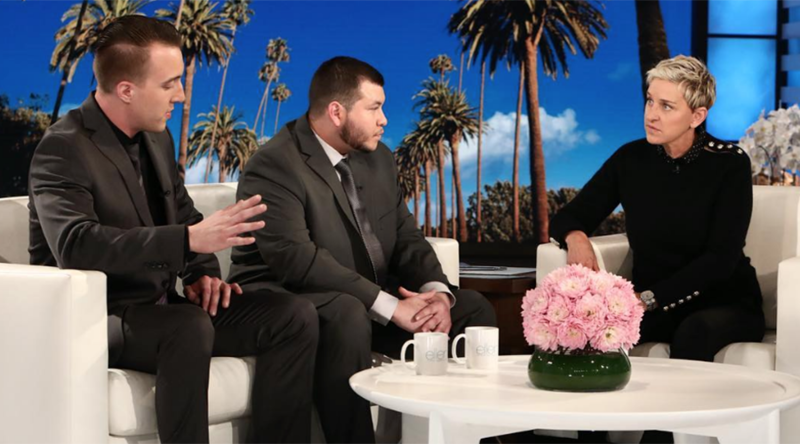 In a pre-recorded interview that aired Wednesday, Jesus Campos told Ellen DeGeneres that he had trouble reaching the shooter’s floor to inspect a door that was left ajar on the night of the shooting. Campos is speaking for the first time in public after being interviewed by police. He was shot in the thigh by Paddock, who killed 58 people and injured 546 others gathered at a country music concert, in the deadliest mass shooting in modern US history. The guard said he had reached the floor through another stairwell and inspected the metal bracket from the other side. But before the shots started, he heard what he thought was a drilling sound near Paddock’s room and called security, which sent maintenance worker Stephen Schuck to the floor to investigate. As Campos walked back into the hallway from a room that leads to the stairwell, the door, which he said was heavy, made a loud noise as it closed behind him. Campos told DeGeneres that Paddock was firing from behind the closed door in his room, but he wasn’t sure how. He said a woman poked her head out of her room to see what was going on, but he told her to go back inside. The security guard had been scheduled to do a series of TV interviews last Thursday, then mysteriously went into hiding after allegedly checking into a medical clinic. Campos had been hailed as a hero by authorities, who initially said he diverted the gunman’s attention and made him stop firing on the crowd. But last week, authorities said Campos was shot six minutes before the attack on the crowd started, altering the timeline. Clark County Sheriff Joe Lombardo then changed the timeline again, saying that Campos had been dispatched to the 32nd floor at 9:59pm and was actually wounded in the hallway less than a minute before the attack on the concert started at 10:05pm, and ended at 10:15pm. 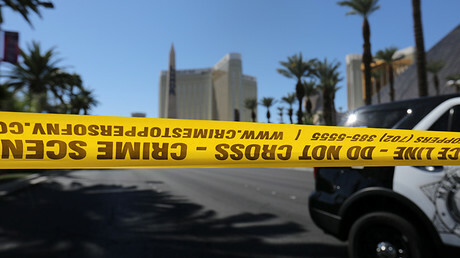 The guard’s account of the events was expected to shed more light on what happened in the moments before the shooting. So far, the police have not found a motive for Paddock’s attack. Islamic State (IS, formerly ISIS/ISIL) issued a statement claiming responsibility, but no link has been established so far between the terrorist group and the Vegas shooter.